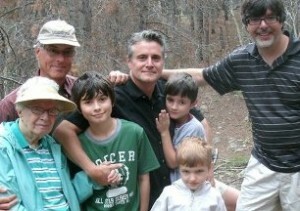 In August of 2011 my family met in the Rockies to spread my Dad’s ashes in the mountains that he loved. He had passed away 10 years earlier but it took that long for my brothers and our mother to coordinate schedules with our own children, work, and all that comes with adult lives. 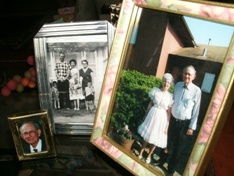 And, truth be told, I think that mom liked having Dad close by. Finally, though, we found a week in late Summer. The service was casual, but very meaningful as tears, bottled up for a decade, flowed from each of us. My father was an extraordinary man who chose a fairly ordinary life, and except for too few years living it, it was exactly the life he had hoped for. His greatness is a legacy of justice, open-minded thinking and tolerance that he imprinted on his sons and I encourage you to spend the next few minutes reading about him. A great American will be revealed. Glenn Kroeger passed away from congestive heart failure just before the Spring of 2001. He was a lifelong smoker whose system had collapsed, like dominoes, with one ailment leading to another. Phlebitis, high blood pressure, type 2 diabetes and prostate cancer conspired to take out his heart. He was too young at 72 and there have been so many times in the past decade when I’ve yearned for his wisdom, but he had also lived a full life and had given his family so much. Standing just shy of 6 feet, he was a curly, black-haired, olive-skinned, second generation German with hairy forearms. The kind of arms that fathers have who get immediate respect from children. 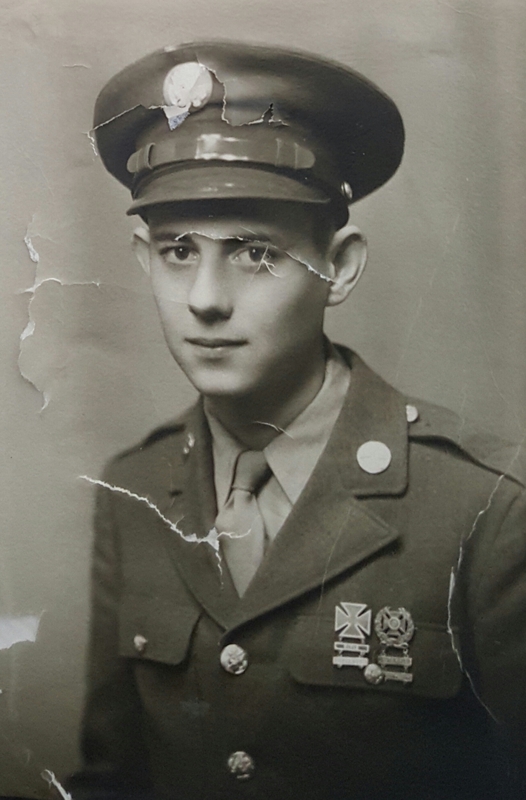 He grew up during the Great Depression in abject poverty, enlisted in the Army to join his older brothers (was honorably discharged when they discovered he wasnt yet 18), put himself through college to receive an engineering degree and carved out the American dream. That’s how he saw things; limited and finite resources that must be conserved. Before anyone dismisses him as a left winger who simply opposed any victory of the right, let me offer some perspective. My father was a conservative man by nature and found his politics evolving after the death of FDR to the platform on which the Republican Party stood in the 50’s: Fiscal conservatism, military restraint, but a responsible role around the world. My father’s political perspective was jolted again after Kennedy was assassinated. The topics discussed at dinner were about this new anger and mistrust in politics, a demagoguery emerging from social conflicts, and Vietnam. It was during this time, as civil rights issues moved front and center, that my father drifted away from the Republicans. He saw the new Republicans becoming entrenched in a platform based on fears; a fear of defining or extending civil rights or anything that did not support the status quo. He saw conservatism falling into policies that supported those fears and moving away from what he embraced above all other issues, egalitarianism; the belief that we are all, indeed, created equal and deserving of equal rights and respect. In the mid 60’s he became a reluctant Democrat. He bristled, however, if anyone lumped him into the “bleeding heart liberal” category. His human rights ideas aligned more closely with the new liberals, but he didn’t like any extremes. He hated spending a dime on anything that he didn’t think was absolutely necessary. Over the years that followed, my father was deeply troubled by President Johnson’s escalation of the Vietnam War, and while he recognized President Nixon’s intelligence, he was repulsed by his personality. 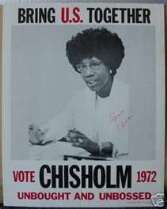 After Watergate, he was thoroughly disgusted with the Washington establishment and he voted for Shirley Chisholm. In 1993 my parents came to visit me in Los Angeles. Before they left Iowa I had mentioned to them that Sylvester Stallone had just negotiated 20 million dollars for a single movie. I think I told them that to bolster their own hopes for me after so many ups and downs in my career. My parents got lost in downtown LA before finding their way to my West Hollywood apartment and in their journey they had accidentally “toured” east LA and west of downtown. They witnessed poverty and homeless people under bridges and on th e off ramps in a way they hadn’t before. That was as angry as I’d ever seen him. Finally, allow me to share a story that will reveal his character, and what I attempt in my life to emulate. The first time my parents visited me in LA was in the mid 80’s when AIDS has just entered the public consciousness. It didn’t even have its acronyms yet (AIDS, HIV) and was being called the “gay cancer.” The values of both of my parents were solid and their sense of responsibility and fairness, resolute, but like many Americans they had a narrow view of homosexuality. One evening at dinner we got into a discussion about the “gay disease.” Although my parents certainly didn’t feel that any disease was “deserved,” they saw it as a consequence of behavior that should be corrected. I proceeded to tell them about people that I knew in Chicago, New York and LA; people who were good, honest, hardworking, generous and gay. I told them the story of one of those friends who was full of humor, talent and love who had just died the most painful and humiliating death. I told them about the hundreds of gay men and women that I’ve known, all of whom are as they were born to be; I told them about people, who happened to be gay, who were just living their lives but were now dying from, or terrified of, an unknown and gruesome disease. I told them that even though their son is straight, this disease affects, challenges and scares him directly. And those people suffering are his friends. My father quietly nodded his head. My mother looked at him with what seemed like a telepathic smile. I never had to say another word. From that moment on, Gay Rights became woven into the quilt of their convictions. They marched for, voted for, wrote letters to the editor for- Gay Rights; Civil Rights; HUMAN rights. It’s all one and the same. These moments are the ones that have shaped my own ideologies and give me the resolve I need to keep the discussion moving, even when the frustrations of disagreement make solutions seem impossible. My father lives in every breath I take and I will always be a soldier in his egalitarian fight. Thanks for reading this. My father deserved the attention. You must be <a href="http://garyhasissues.com/wp-login.php?redirect_to=http%3A%2F%2Fgaryhasissues.com%2F2014%2F02%2Fmy-american-hero%2F">logged in</a> to post a comment.